Warmth reminds again how much I really love ALL the sweaters in Finish-Free Knits. I really would wear each and every one of them! I guess that's why I designed them. 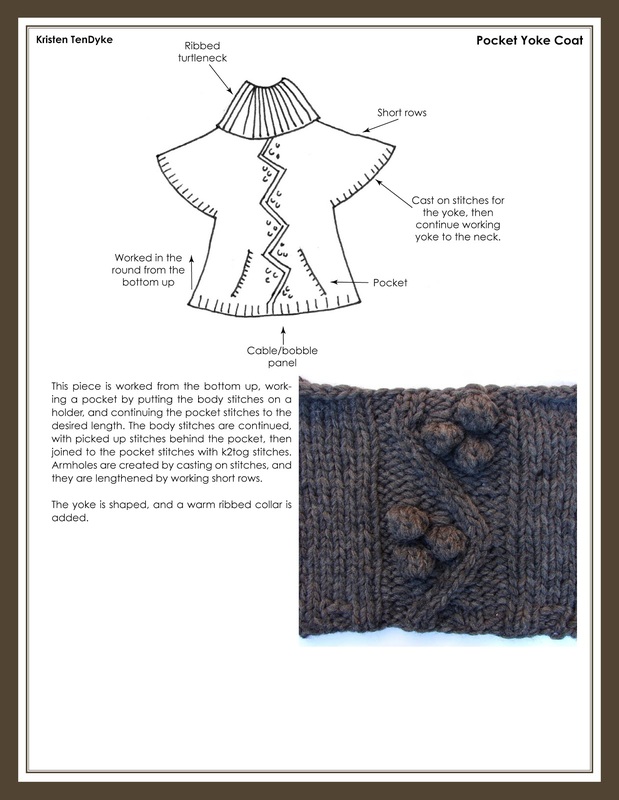 When I sketched and swatched this design, it was my least-favorite design in the book. Seriously. I liked it, but I wasn’t quite sure what was going to happen with it—so, I wanted to be sure to knit it myself, so I could alter it, and tweak things to how I liked them as I knit. As you can see in the sketch to the left, the original design had A-line shaping. 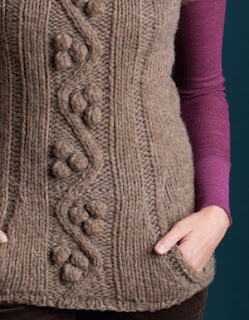 Somewhere in between sketching this design and knitting it, I learned from knitting another sweater in a bulky yarn with an A-line shape, that this combo is very un-flattering. So, I didn’t want to do that with this sweater. 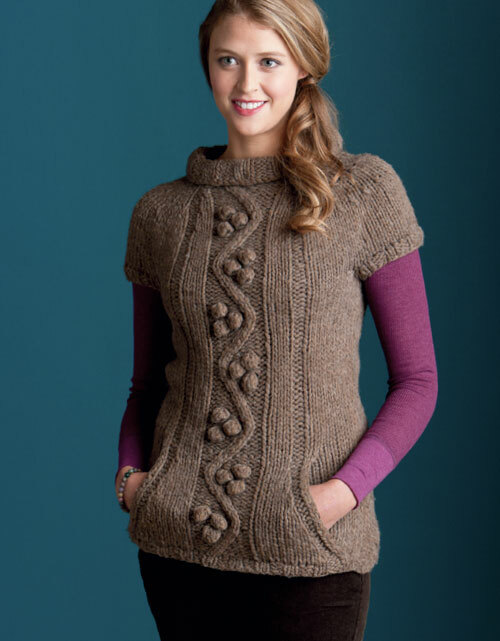 I wanted this to be as flattering as possible in its bulky-weight yarn. 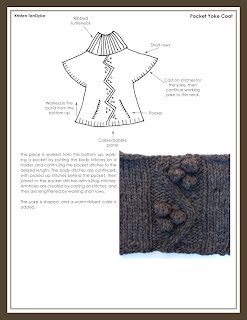 When I worked at Classic Elite, I remember working with some of the Twinkle by Wenlan patterns. 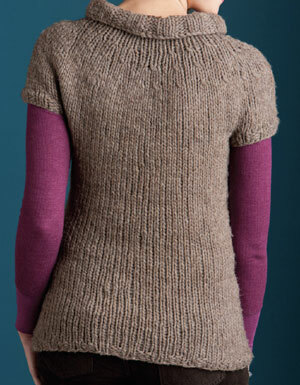 Wenlan's way of making her bulky weight yarn flattering was to give it negative ease. Negative ease is when the sweater measurements are smaller than the body measurements. So, negative ease, along with some waist shaping was my solution to making this design flattering. I recommend knitting the size 1–2" smaller than your actual body measurements. I knit this sweater from start to finish in 3 days. I loved making it so much, I was eager to cast on another one! Instead, I designed something similar—which will be available soon from Caterpillar Knits. Like the Trust Pullover that I posted about a few weeks ago, this sweater has a fun-to-knit seamless pocket! The sweater begins at the lower edge and is worked in the round beginning with the lower ribbing. The pocket is worked next while the body stitches are held, then the body is worked to the same length of the pocket where they are joined. At the underarms stitches are cast on for the armhole openings, a few decrease rounds are worked for the yoke shaping, and there are a few short rows added to add a little more fabric over the shoulders. Each yoke decrease round is written out in detail, so you won't need to figure out how to decrease X number of stitches evenly around. That's something I do for all the patterns that pass me by… both my own patterns and ones I tech edit. I believe that when a knitter is working on a pattern that ALL the math is figured out for them, and they don't need to pick up a pencil or calculator for any of it. 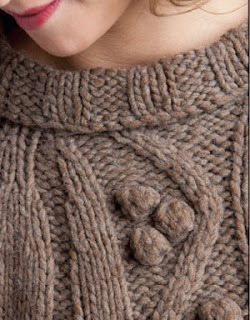 This sweater could easily be made with long sleeves, if you want the extra warmth. The armhole trim stitches are picked up around the armhole cast-on stitches and worked in ribbing for a few rounds. If you want long sleeves, just keep knitting! Maybe add a few decreases in there, or keep them straight for a loose fit around the cuff. I'd imagine each sleeve may take about a hank of the Montana yarn. So, if you're interested in going that route, be sure to pick up at least 2 extra hanks.